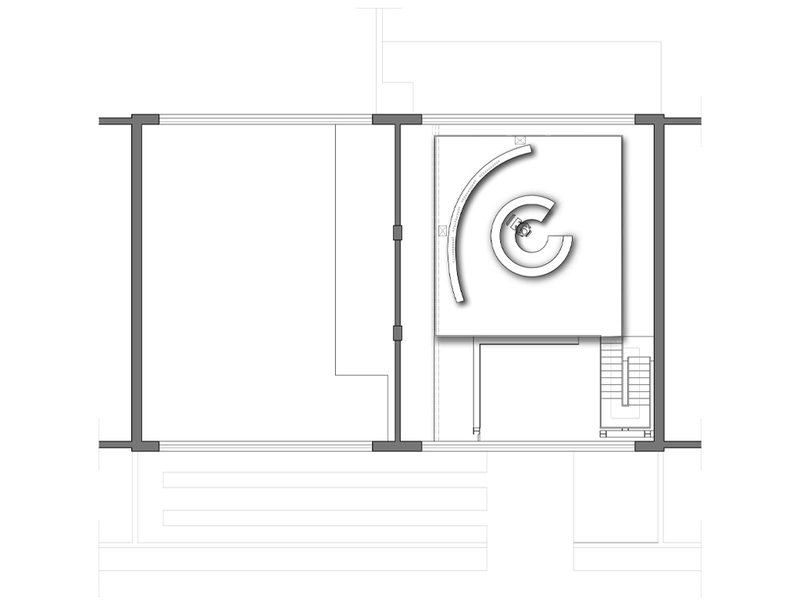 The project, an unexpected showroom located inside a an open space ex- warehouse , needed a natural connotation that fully expressed the mission of Q.E.E.N., a company that dealt with renewable energies. 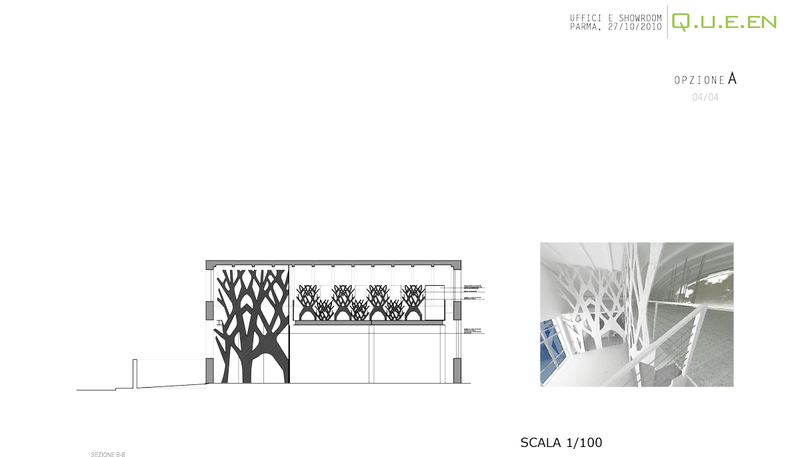 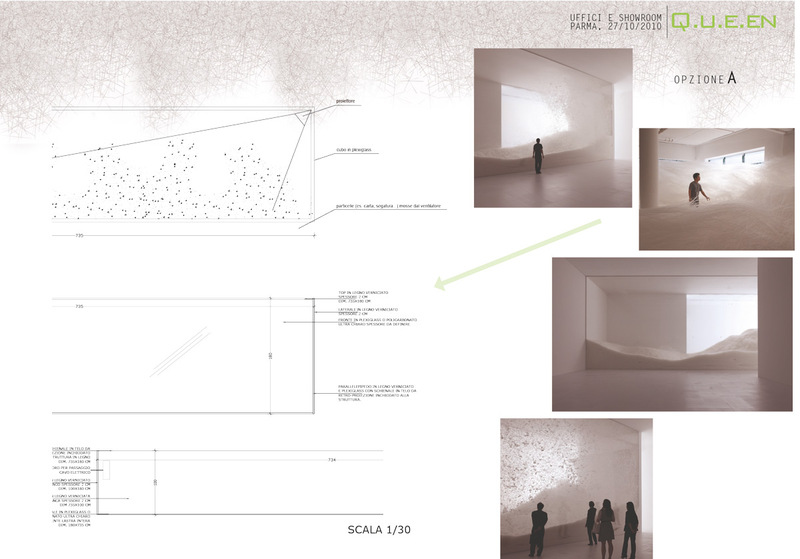 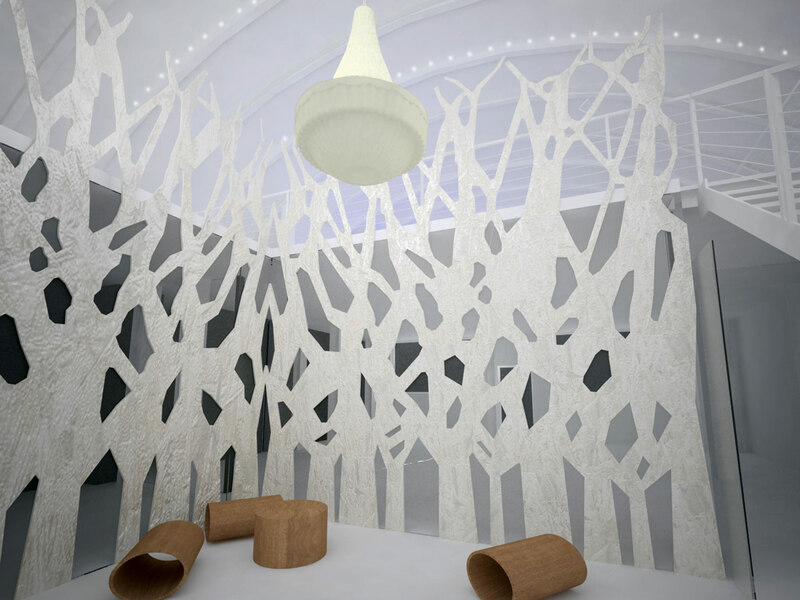 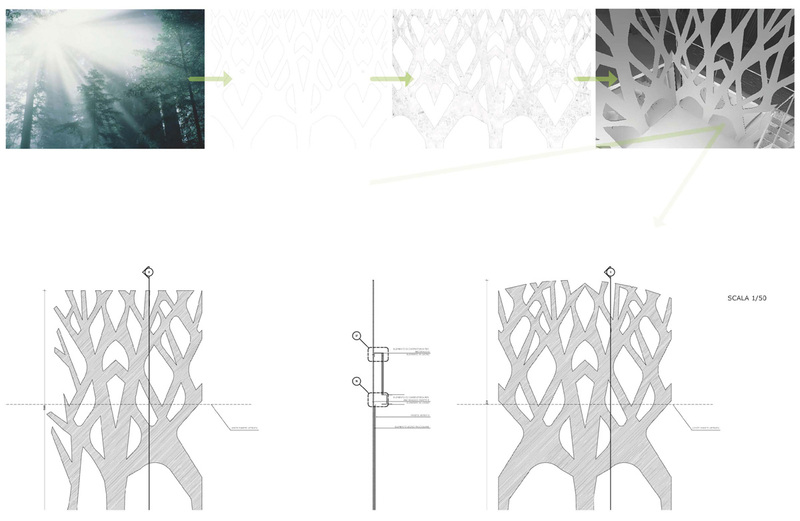 We created a dreamlike space, enclosed on two sides by stylized silhouettes of trees in white OSB. 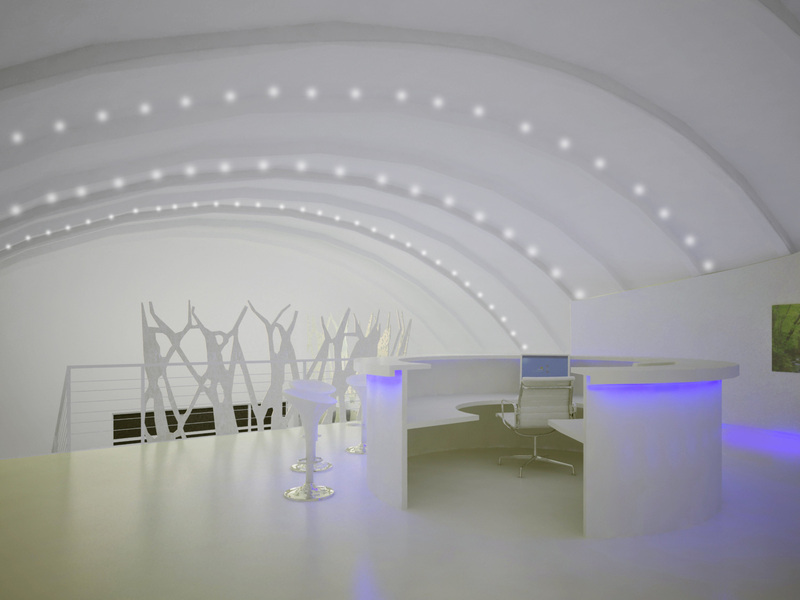 The circular desk was made in white corian, without edges or joints. 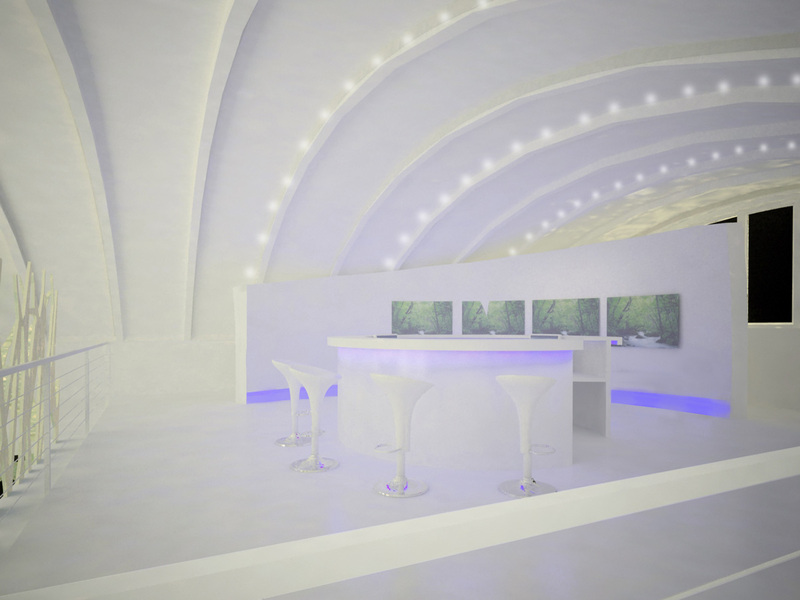 The concept reminds of a futuristic design, with a completely white look that expresses cleanliness, the key feature of renewable resources.